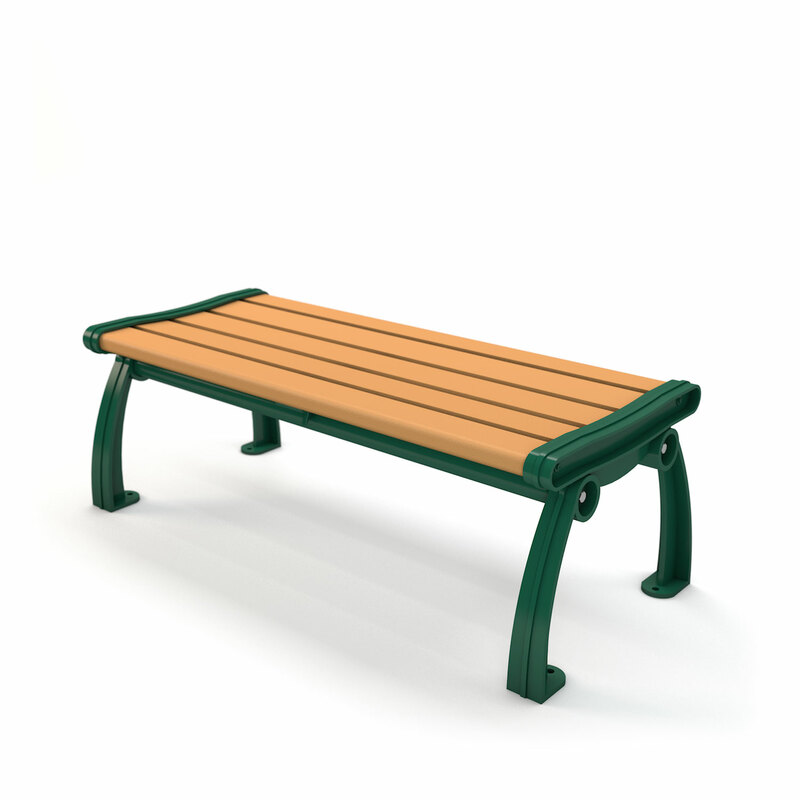 Select Length 4 ft. 5 ft. 6 ft. 8 ft.
Made with nine 2” x 4” Resinwood slats and powder-coated, heavy duty cast aluminum frames. The under structure is heavily braced with length and width supports. Powder coated cast aluminum frames available in standard colors of black and green. Custom colors available for quantity orders. Heavy duty, zinc coated hardware standard. Bench frame includes hole for surface mount. Surface wedge anchor included for surface mounting. Optional center armrest available for additional cost. 5 ft. / 2 bases / 120 lbs. 6 ft. / 2 bases / 140 lbs. 8 ft. / 2 bases / 190 lbs.